My new game, Balloon Hunt: Cities, is finally out there for you to try out. It is a fun and colourful balloon popping game. The game is developed by using Unity 3D software, and coded in C# language. You can download & play the game by following the links below. 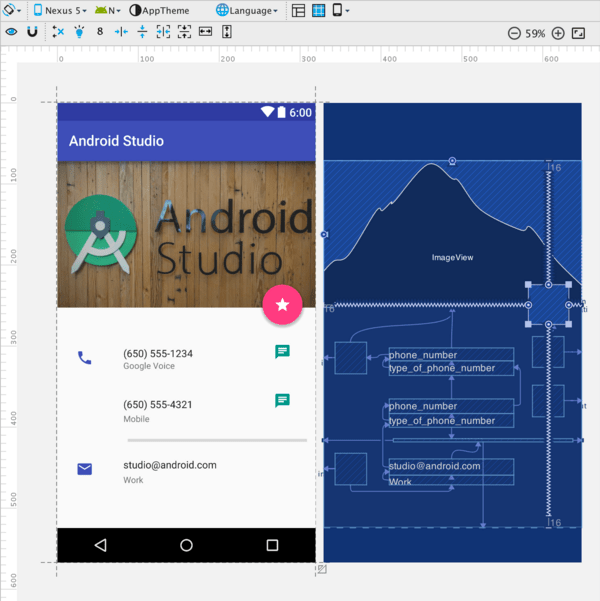 Android Studio 2.2 Preview is included with the new layout system and design editor. By using drag-and-drop features, constraint layout automatically adds constraints to your views. The new editor also has design and blueprint view. 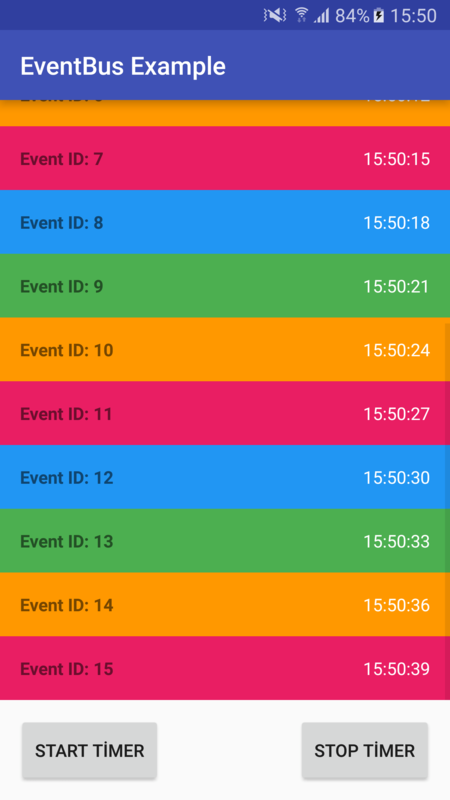 Ease communication between Activities, Fragments, Dialogs, Services, AsyncTaks, and Life Cycles of Anything by using event bus in Android. Event bus is an implementation of publish/subscribe pattern which is a messaging system between a subscriber and a publisher. A subscriber waits for an event to be dispatched from a publisher. In this article I will describe how to benefit an event bus by using Greenrobot‘s EventBus library. In Object-Oriented Programming (OOP) we spend most of our time creating objects or instances of classes. We usually prefer constructors when we create these objects. However, increasing the number of fields leads us to think differently because of the exponential and unnecessary complexity of the constructors. Builder pattern, on the other hand, overcomes this issue by using a builder to create an object in a step by step manner. A bottom sheet is a sheet that slides up from the bottom edge of the screen. Bottom sheets are displayed as a result of user triggered action, and also it can reveal additional content by swiping up. A bottom sheet can be a structural part of your page and also it can be a temporary modal. Bottom sheets are added to the Android Support Library in v23.2.0 version. I want to share with you my new tool which lets you to convert iOS String resources Localizable.strings to Android String resources strings.xml and vice-versa. It is a smart tool and it will make your job easier. If you are a cross platform developer then you can benefit from this tool. It will ease the process of converting string resources from one platform to another. Strings Resource Converter is also located in the left menu. We as android developers spend our time mostly on the IDE itself. Android Studio is the one of the most intelligent IDEs out there. Mainly because it is built on top of the most intelligent IDE, Intellij Idea. Today at Android Dev Summit 2015, Android Studio 2.0 Preview edition is announced and available on the canary channel, therefore we can use the bleeding edge features of the newly released Android Studio 2.0 features right away without waiting to be released in stable channel. Today, I want to share with you some valuable file naming scripts for gradle to change your artifact output file names. Gradle is a build system which lets you to produce both android archives(.aar) and android packages(.apk) easily. In android studio the gradle build settings will produce a very boring standart artifact name for you like output files by default. There are some ways to instantiate and pass data to fragments in android development. However, you must be careful when you do that and you should avoid the wrong approaches while you are instantiating and passing data to fragments. The most recommended way of instantiate fragments with arguments is to have factory methods for this task. Also, another important topic is about how to pass data to the fragments while instantiating them. In this case it is tempting to directly access the fields of your fragment and assign their values. However, this is the wrong approach. Because when your application send back to background and the other applications require more and more memory then your application and its resources will be cleared from the memory to open up space to the new ones. While developing your awesome application, sometimes you are required to add a feature to change the language of your app on the fly. However, Android OS does not directly support this behaviour. And therefore, you need to solve this situation in some other ways. Android by default uses the locale of the device to select the appropriate language dependent resources. And most of the time this behaviour is enough for common applications. However, sometimes there is some business requirements that you need to implement. To do that I will outline the details of changing the language of your application programmatically on the fly. There are some difficulties which you have to overcome to change the language programmatically. Your application will not remember your language change after it is closed or recreated during the configuration change. You should update currently visible UI properly according to the selected language.